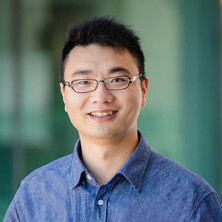 Dr. Chun Xu received his Ph.D. in Biomedical Engineering and Nanotechnology at The University of Queensland, Australia in 2016. Before that, he got a M.D.S. in Oral and Maxillofacial Surgery and a B.D.S. in Dentistry from Wuhan University, China. He is currently a NHMRC Senior Research Officer and C.J. Martin fellow at The University of Queensland. He has published over 36 peer-reviewed scientific papers in top journals and hold 3 patents. He also serves as review editor on the editorial board of Nanoscience, Frontiers in Chemistry. He is a member of ISO experts committee for Nanoscience and Nanotechnologies. His reseach interests include the application of nanomaterials for biomedical applications. Chang, Ting, Xu, Chun, Wang, Cong-Yi, Fang, Wei, Li, Ying-Jie, Dai, Lin and Long, Xing (2016) The effect of TNF-alpha on the development of degenerative changes in anterior disc displacement of the temporomandibular joint. International Journal of Clinical and Experimental Medicine, 9 3: 5813-5820.